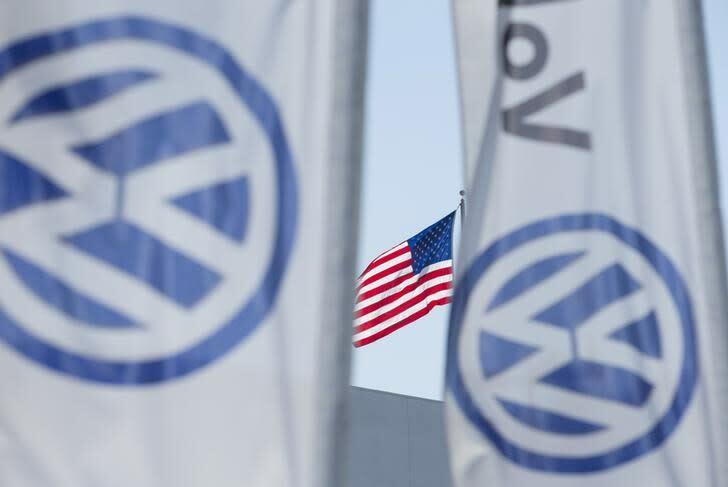 MUNICH/BERLIN (Reuters) - Senior Volkswagen (VOWG_p.DE) managers have been warned not to travel to the United States, legal and company sources told Reuters, after six current and former managers were indicted for their role in the German carmaker's diesel test-cheating scheme. Schmidt, who is caught up in the "Dieselgate" investigation by the U.S. Department of Justice (DoJ), was ordered to be charged and held without bail on Thursday pending trial. "Several Volkswagen managers have been advised not to travel to the United States," one legal adviser to Volkswagen said on condition of anonymity because the matter is confidential. A second legal adviser said this also applied to managers who had not yet been charged with any offense in the United States. "One doesn't need to test the limits," the adviser said. The company agreed to pay $4.3 billion in civil and criminal fines in a settlement with the DoJ on Wednesday, the largest ever U.S. penalty levied on an automaker. However, Attorney General Loretta Lynch said the DoJ would continue to pursue "the individuals responsible for orchestrating this damaging conspiracy". Given the risk of extradition from a third country, a reluctance to let senior managers leave Germany at all could pose considerable difficulties for Europe's biggest carmaker, which employs more than 600,000 people worldwide and sells 88 percent of its vehicles outside its home country. Only one board member traveled to this week's auto show in Detroit: VW passenger car brand chief Herbert Diess, who joined Volkswagen in July 2015, just two-and-a-half months before the VW's decade-long deception of U.S. authorities became public. A senior manager at the VW brand who asked not to be named called Diess's decision to travel to Detroit "bold" and said his peers had been given guidance not to leave Germany as the risk of impending U.S. charges rose - although he would not go so far as to call it a "travel warning". Charles Kuhn, a partner at criminal law firm Hickman & Rose, said people in such a position faced "a harsh choice - voluntarily hand themselves in, or never leave Germany without fear that an international arrest warrant will land them in US custody anyway". "It's the kind of impossible decision that leaves people holed up in embassies for years," he said. "It depends on the alleged offense, but it is sometimes better to face the music than to live in the shadow of the DoJ."